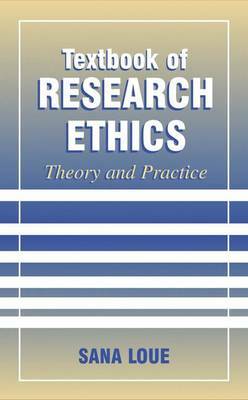 This textbook provides a brief history of human experimentation and reviews various theories of ethics from which the principles and rules that govern this research are derived. All relevant international documents and national regulations, policies and memoranda are referred to extensively to assist in addressing issues that regularly arise during the course of research involving human subjects. It includes case examples and exercises and is of interest to students and experienced researchers. "If you want to know more about the historical, theoretical, and legal context of ethical issues in human-subject research, read this new book by Sana Loue. Sana Loue's book provides a valuable set of tools with which to identify, analyze and resolve a range of ethical issues that can arise in human-subject research.......the real strength of her book is that it provides a historical context and a theoretical framework for dealing with new issues as they arise."